In addition to my public administration courses, I teach political science. Since one of my political science courses is the Presidency, I tend to pay attention to what happens during the presidential election process. Observing the process during this cycle has been particularly demoralizing because the anti-government sentiment seems unusually acrimonious and disparaging of the public administration community. So on this dreary winter day, I have decided to improve my outlook and devote this column to quotes from important public figures who identify the role and explain the importance of public service. 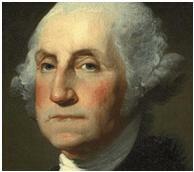 The first quote comes from George Washington, the first American president. During the Revolutionary War, Washington wrote a letter outlining a difficult assignment to a reluctant Benedict Arnold. To encourage Arnold in this assignment, Washington noted, “Every post is honorable in which a man can serve his country.” During the creation of the nation, Washington saw the nobility of public service work, whatever the task or the perception of others about the task. 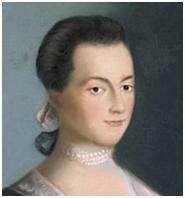 The second two quotes come from Abigail Adams, the wife and mother of two early presidents. In writing her husband, Adams observed, “Merit, not title, gave preeminence in our country…” As a former government official appointed on merit, this heartens me because the concept of merit in public administration goes back to the beginning of the nation. Merit is the foundation of the American governance system and it is an underlying value that continues, whatever the political rhetoric. Adams’ second quote is, “How difficult the task to quench the fire and the pride of private ambition, and to sacrifice ourselves and all our hopes and expectations to the public weal! How few have souls capable of so noble an undertaking.” Today’s public administrators regularly provide for the public good. This service is typically conducted anonymously, at lower pay and without expecting public acknowledgment. This truly is an honorable sacrifice in the service of one’s country. The next two quotes come from Abraham Lincoln. Lincoln’s first quote provides information about the historical purpose of the American government. 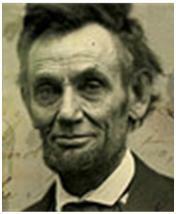 Lincoln notes, “The legitimate object of government is to do for a community of people whatever they need to have done, but cannot do at all, or cannot so well do, for themselves, in their separate and individual capacities.” The most important word in this quote is “need.” The legislative process determines what the community of people “need” rather than want. Public administrators, under the guidance of the chief executive, implement what the people “need.” While much of the campaign rhetoric involves “wants” rather than needs, the founders created a system of checks and balances to check inappropriate wants. The second Lincoln quote provides further perspective on wants versus needs. “Our government rests in public opinion. Whoever can change public opinion, can change the government, practically just so much.” This quote assists in understanding the role of checks and balances in the context of the current incendiary rhetoric. While the rhetoric may momentarily change public opinion and demand inappropriate actions, our American system intentionally inhibits precipitous change, which could be more harmful than corrective. Unfortunately, this founder-initiated control is often termed “obstruction” during election cycle rhetoric. The final two quotes come from a modern president, John F. Kennedy. 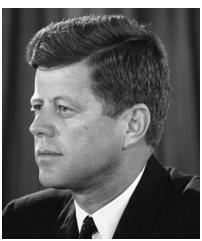 President Kennedy was noted for his support of government service. His first quote highlights the importance of career workers to good government. “The success of this Government, and thus the success of our Nation, depends in the last analysis upon the quality of our career services.” Unlike the perspective in much of the current political rhetoric, Kennedy saw government service as a solution, not a problem. His second quote took the notion of public servants as problem-solvers even further when he stated: “Let us not despair but act. Let us not seek the Republican answer or the Democratic answer but the right answer. Let us not seek to fix the blame for the past – let us accept our own responsibility for the future.” Unfortunately, much of today’s election rhetoric focuses on partisan divides and blaming, rather than problem-solving. While partisanship and blaming may win elections, it does not solve problems. The historical language of the above prominent Americans, three of whom were U. S. presidents, provides a counterpoint to the current negative political rhetoric. George Washington’s quote highlights the importance of every aspect of public service. Abigail Adams’ comments pinpoint merit as an underlying American value, present since the creation of the country. Abraham Lincoln’s remarks identify the limited power of the manipulation of public opinion. Finally, John Kennedy’s words reinforce the importance of a strong nonpartisan public service that focuses on the future and problem-solving. Despite the campaign rhetoric, the quotes from these historical figures remind me that public service in this country has a rich tradition rooted in merit and focused on meeting the needs of the people. This is something that should make all public servants understand the importance of the work they do even during a contentious election cycle. Author: Anna Marie Schuh is currently an associate professor and MPA program director at Roosevelt University in Chicago where she teaches political science and public administration. She retired from the federal government after 36 years. Her last assignment involved management of the Office of Personnel Management’s national oversight program. I was a student at Roosevelt’s MPA program. Dr. Schuh is exceptional. Professor Schuh is correct – public service is an honorable profession regardless if you’re the front counter receptionist to the Senior Administrators who are responsible to ensure accountability and efficient use of taxpayer dollars. I would argue most Americans recognize it. In her report, “6 Key Takeaways about How Americans View their Government,” Samantha Smith stated that 57% of Americans felt their federal government was wasteful or inefficient, 59% felt the government needed major reform. Interestingly, 57% are frustrated with government versus being angry (22%) with it. This is a downward trend since the late 1990s. And, 48% of Americans said if their child wanted to seek a government career, they support it. Compare this to only 33% would encourage their child to become a politician. While the campaign rhetoric attacks public administrators, and has for years, most Americans give credit where credit is due. In Smith’s report, Americans gave positive ratings of 51% or higher to 10 of 13 functional areas of government ranging from response to natural disaster to immigration. As I see it, after 43 years in public service at the federal and local level of government, citizens want to be able to navigate their way through the mass of processes and regulations. Citizens want government officials to get them to yes in a timely manner. Citizens want to know they’re being treated fairly; their being treated as a person and not a number. Citizens want to be heard and considered when things happen. Citizens want explanations when they don’t understand. And, citizens want to believe the person they’re dealing with is there to fight for them. If public administrators want to turn the tide on the political rhetoric, give citizens want they want within scope of the law. Improve the processes so people aren’t frustrated. Can it be done. Yes. When I became the Director of Community Development for Kitsap County in 2006, the standard campaign slogan from 2000 to 2008 was the candidate running for Commissioner was going to fix the department. In 2008, a candidate seeking endorsement appeared before our local Home Builders Association with the same pledge. The Association told him they weren’t interested in this platform as they felt the Department was finally heading in the right direction. In 2012, another candidate called for use of Lean process improvement in his early campaign rhetoric in late July and early August. The Department had already did it. In short, if the citizens and stakeholders seen an effort for improvement, they’ll not listen to the rhetoric.